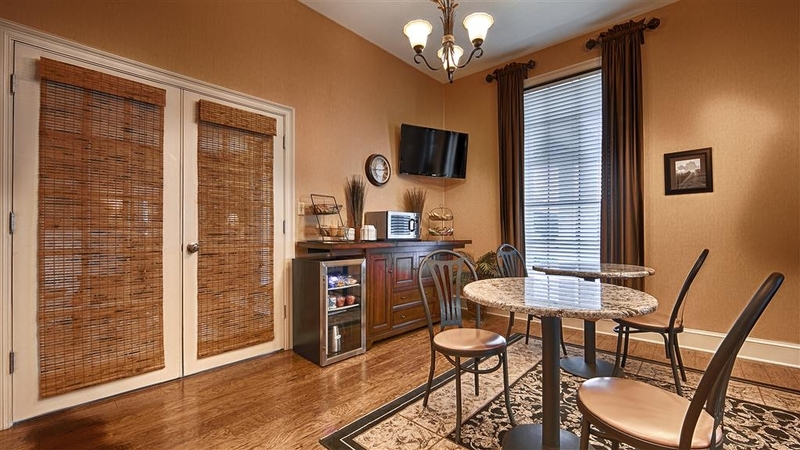 The Best Western Suites is ideally located in the center of Jackson. Come and experience our hotel near the major tourist attractions. Best price guaranteed and exclusive deals. Welcome to Best Western Suites! 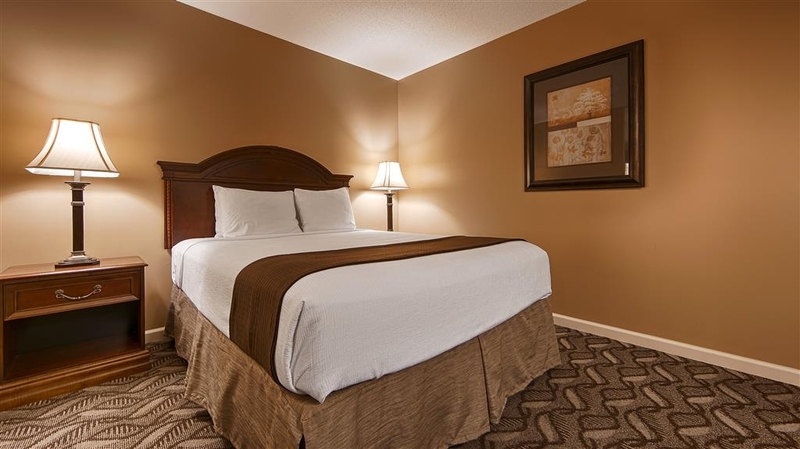 Our Jackson, AL hotel has the best service in town, and guests can rest assured that their spacious room is clean, comfortable and complete with luxury bedding. 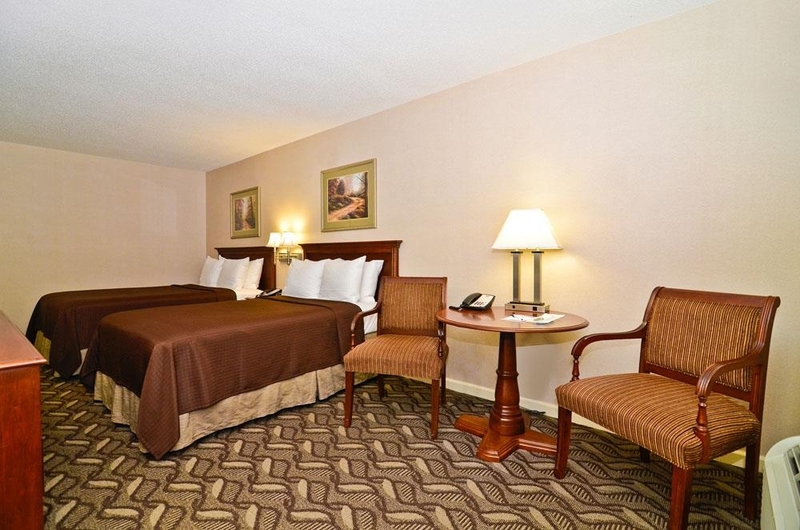 Best Western Jackson is a guest favorite because of our great location, value and convenience. 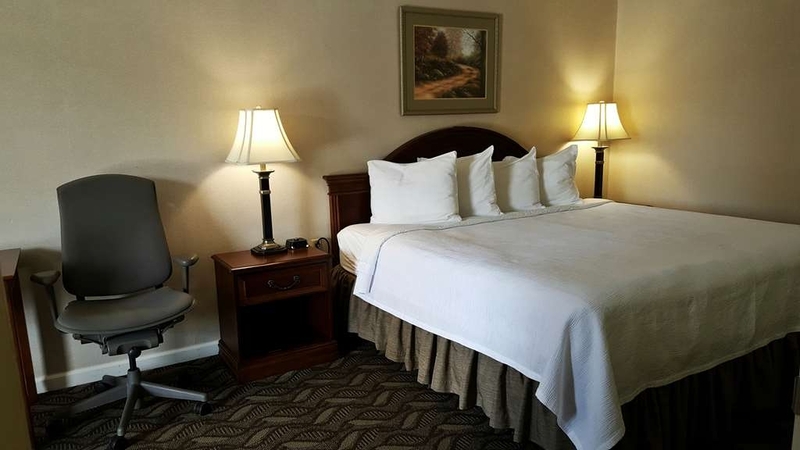 Hotels in Jackson, AL are already in a superior location with the best of the great outdoors and the city just a short drive away. 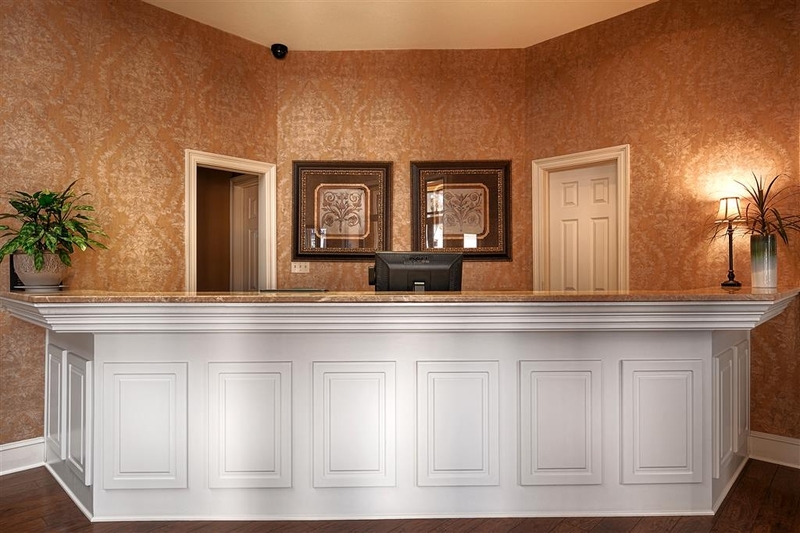 However, our Jackson hotel is especially known for being clean and well-kept. Easy accessibility to all rooms, a friendly staff and management always put the guest first. A local golf course is a favorite destination for guests who want to hit the links. 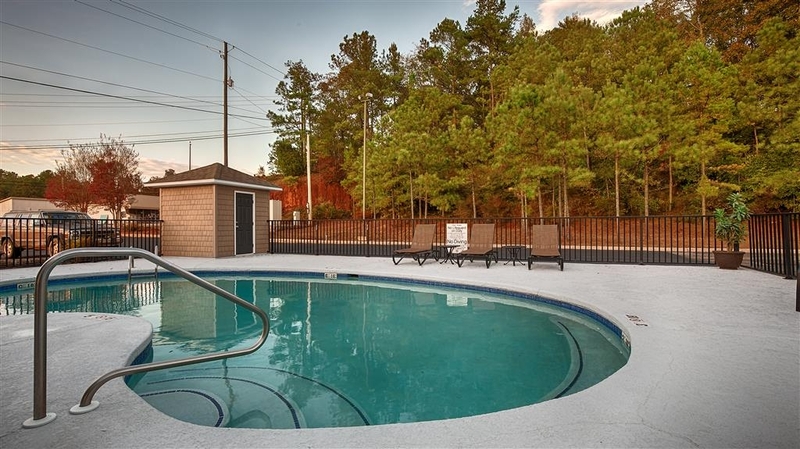 The neighborhood park is famous for having the largest pool in the south and was voted one of the top 5 in the country. HW Pearce, Jr. Memorial Park is a must-see for visitors looking for a place to cool down. The Forestry Festival, always the first weekend in November, is an exciting annual event that locals and travelers alike look forward to. The large car show at the festival is a particular draw, and guests at our Jackson hotel enjoy being close to the festivities. There are many fun, family-friendly events happening year-round, and anytime is a great time to visit Jackson. 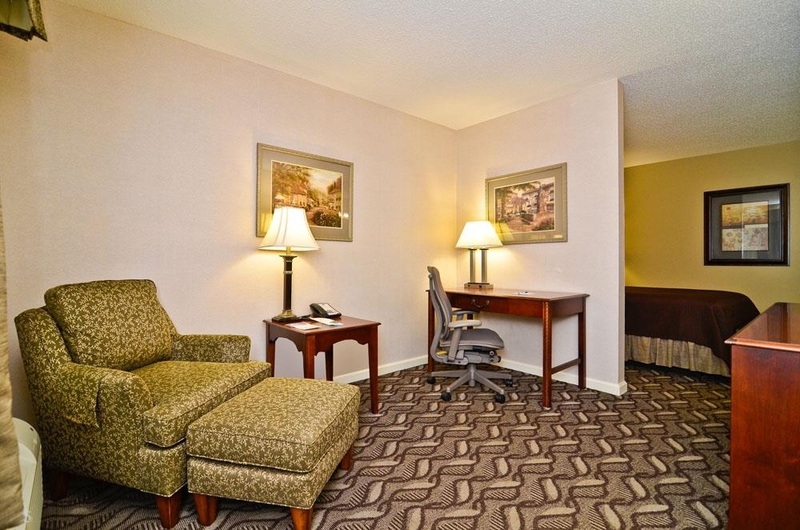 We’re also happy to be a home away from home for business travelers. The managers at our Jackson hotel will do everything possible to ensure all guests enjoy a peaceful stay. Some of our regular guests are in town for work as independent contractors or with companies like Boise, Power South® and Alabama Power. We understand that traveling for work can be stressful, which is why our hotel is designed with convenience and comfort in mind. 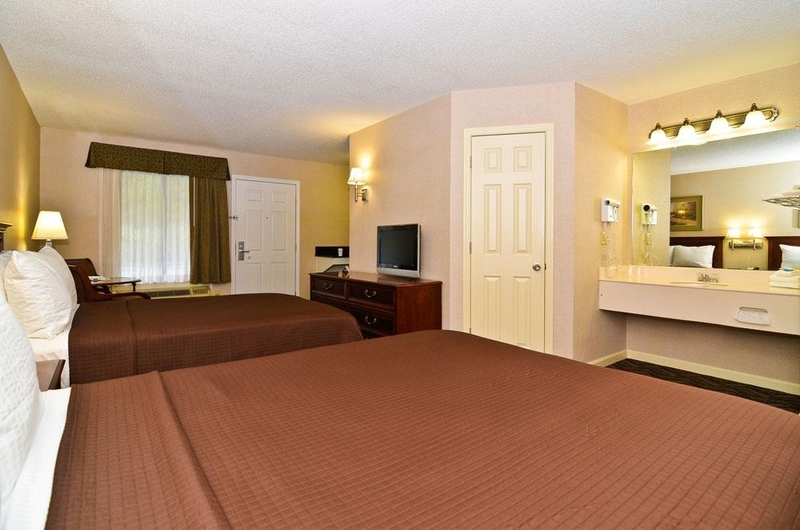 Reserve a well-appointed and spacious room at Best Western Suites, where the customer comes first! Enjoy your stay. "JACKSON ALABAMA - [Ms. Dee Out of Montgomery Alabama"
Mike Shows and his Operational Team are Simply Awesome... I Highly Recommend the Lodging, for My Experiences have Been Nothing but Amazing!!! The Accommodations are Superb... from Checking in, to the Room Stay, then Checking out and being Invited to Stay again... I am So Satisfied!!! Thank you for your kind words! We appreciate your business and are grateful that we were able to provide you with a superior experience. Please come again if you are in our area! "Very clean hotel. Friendly staff." We stayed on a Friday night for a softball tournament. The room was very clean and comfortable. The staff were so personable. We ended up playing all through Saturday, so I called to get a room for that night too. There were no double bed rooms left but Mike said he would take care of us. When we arrived that night we expected a king room but he went above and beyond and let us have 2 rooms beside eachother for the price of one. Again, both rooms were very clean and the check in and checkout process were quick and personable. Great hotel and staff! Thank you for your kind feedback. 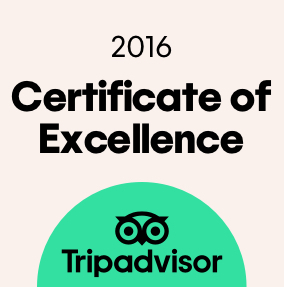 We are grateful to hear that we were able to exceed your expectations! We sincerely appreciate your business and thank you for choosing Best Western! We hope to see you again if you are in our area! "Everything is great except the wifi"
Thank you for your feedback and for your kind words! We are thankful that you enjoyed your recent stay with us. We will have the wifi issues resolved in the near future. Please come back again if you are the area! Thank you so much for your kind words! We are pleased to hear that you enjoyed your stay with us and hope that you will come again soon! Thank you for choosing Best Western!! We were in town for a funeral and needed two rooms on the night of 12/30/2018. We checked in late and the owner was working the front desk. He was very accommodating and did everything he could to make our stay pleasant. You can tell he takes pride in owning this Best Western. Breakfast was great. We had freshly cooked eggs and many options to choose from. The lady working the breakfast area was very friendly. Checkout was smooth and front desk was again very helpful and friendly. The rooms were very clean. This will be where I stay in Jackson from now on. We were quite disappointed with the Hampton recently and this Best Western went above and beyond to make our stay a good experience. Clean, comfortable beds and amazing friendly staff. We visited family in Jackson and stayed here 4 nights. Perfect place for quick visit. Donna made our family whatever breakfast we wanted. Even vegan oatmeal for me. Good family owned hospitable place to call home while there. Heating worked well, great hot high pressured shower. Wonderful stay all in all. ( BTW, I am the kind that stays in St. Regis, Four Seasons and Ritzs) looking for clean, comfy place in small town. This is as good as it gets. Thanks to all the staff at BW Jackson. Thank you so much for your kind words! We appreciate your taking the time to leave feedback, and will convey your appreciation to Donna and the rest of our staff. It was our honor to be of service to you and your family! We hope to see you again when you have occasion to visit Jackson! "Best Western was THE BEST!!" "An Amazing Stay in Jackson"
My buddy and I cycled into Jackson from Butler, AL. From the moment we arrived at the hotel until we left the next day, the reception and attention we received from the hotel staff was truly the stuff that awesome is made of. The warmth, attention, and interest, that everyone who works at this hotel displays ws unlike anything that we have experienced anywhere. Everyone was truly engaged in their work and ensuring that the guests are treated to the highest level of service possible. The people are happy with their work and more than happy to engage with the clientele. The hotel amenities themselves are excellent. Everything is kept in very good condition. 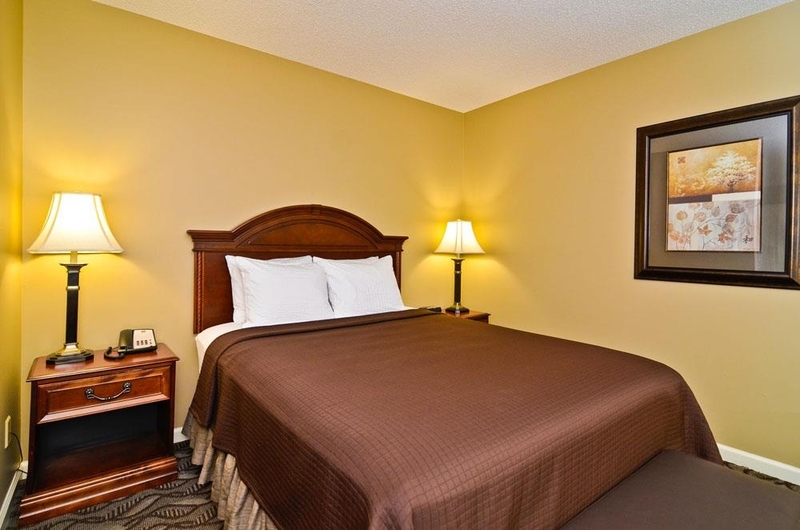 The rooms are extremely comfortable and a great place to relax in after a day on the road. I travel a lot and stay at many different hotels and inns. This place may not be the prettiest or in the best location, but it really stands out in the more important aspects of travel service. The hotel is owner/operated he really cares. It really shows. What a great stay! Thank you so much for your kind words regarding our staff! It was our pleasure to be of service to you, and we hope to see you again if you are ever in our area! Quaint little hotel with an extremely nice breakfast hostes, the room was cleans and the bed was extremely confortable this hotel had all the amenities necessary for a relaxing stay. I most definitely recommend the best western suites in Jackson Al. I stayed here overnight while working at my office in Thomasville for a special event. The hotel options were limited so I stayed here based off of the reviews. Everything with the hotel was great. Room was clean and had plenty of room. Breakfast was good also. Internet options in the area are limited to DSL which was too slow for what I needed and had to connect to my mobile hotspot. I will be staying here next time I am in town. 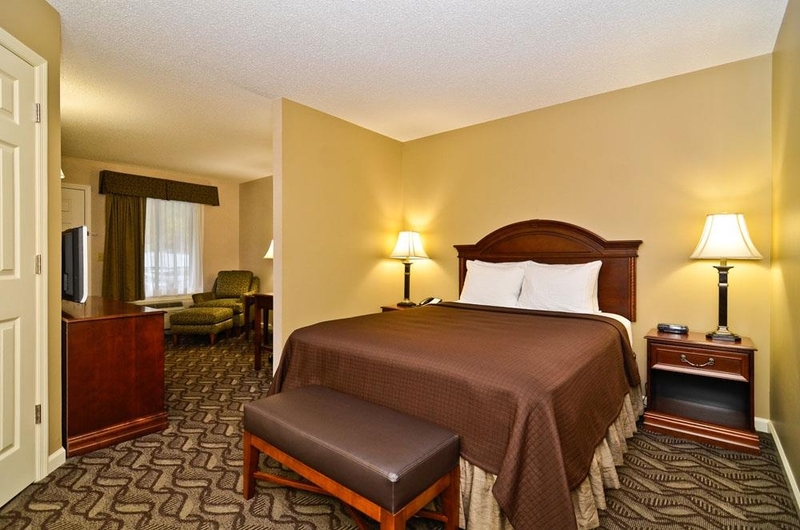 "Jackson Alabama Best Western is FANTASTIC!!!" Mike and his staff are always very friendly and helpful. The rooms are always clean and the breakfast was great. They make you feel at home and greet you like you are family. I have stayed at this hotel many times and have never had an unplesant experience. I would definetley recommend this Best Western to anyone staying in Jackson, Alabama. Thank you so much for your kind words! We are so happy that you have enjoyed your many stays with us, and hope to see you again soon when you are in our area. Thank you for choosing Best Western! My husband, son & I were trying to drive from Biloxi, MS to Montgomery, Alabama, during the ice snap that covered much of the south in mid January, 2018. We were blocked from highways and seriously worried that we wouldn't find shelter for the night. Out of desperation, we booked a room in Thomasville that turned into a horror show. We hesitated to try to drive the 20 or so miles back to Jackson, but after calling the Best Western, and being assured the roads were passable, we booked one of their few remaining rooms. We could not have been treated better. The gentleman (Mike? ), not only welcomed us, but called restaurants in the area to find something open so we could eat! (There was only 1 restaurant open, no one was driving!) The next morning, as my husband heated up the car, Mike called the room to make sure everything was okay. I could not recommend this Best Western more highly. After being frightened for most of the day, we found safety and comfort and kindness. Thank you thank you thank you! Wow!! I drove from Indy IN to Jackson AL to this hotel. Great check in. Went back out to my vehicle and it would not go into gear. I shut it off and everything was dead. I was tired and ready to go to bed. The office manager called a family member who showed up 5 minutes later with cables and fix my vehicle. That is service. And the room is great, spacious, comfortable, quiet, and relaxing. Thank you Best Western for being there and having a great staff. We sincerely appreciate your kind words! It was our pleasure to help you resolve your problem with your automobile. We do hope you will come again if you are in the area! By far the best hotel of the Best Western chain that I've stayed out, the staff was great and the rooms were very clean. I am looking forward to going to the area for work again, I might even just go there for a quiet get away for a day or two. Thank you so much for your kind words! We are so pleased that we were able to make your stay with us to your complete satisfaction! We look forward to having the opportunity to serve you again in the near future. Thank you for choosing Best Western! You can tell the owner is very proud of his hotel. Clean, very quiet, and dark sleeping. Very, very accommodating. Breakfast is usual, but with a difference. The eggs are real and the person will make you eggs the way you wanted and bacon. If you miss this hotel, your missing a lot! Very clean, quiet hotel with excellent staff. Breakfast was very good. Definitely recommend. The check in process was quick and friendly. We got a great recommendation for a local meal. Check out was simple and quick. Very friendly and professional staff. 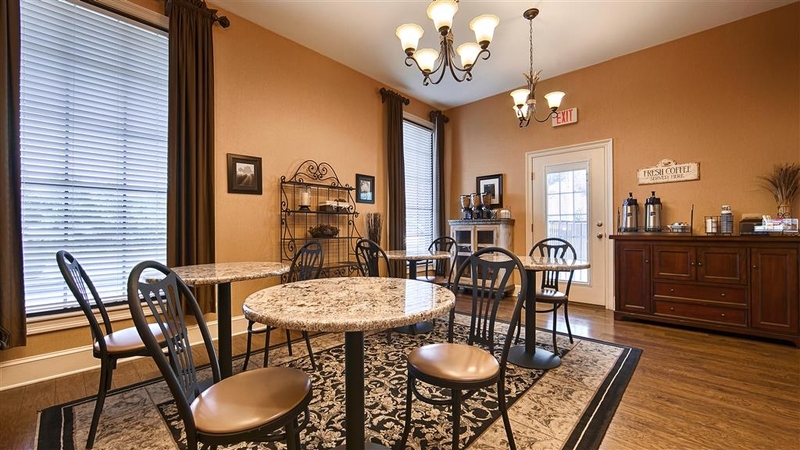 "Kindness, professionalism, great breakfast, clean rooms, awesome staff, beautiful surroundings." We stayed during Hurricane Irma and were treated like royalty. Mike and his staff went out of their way to provide all of us Floridians with accommodations, connections with local churches, and a safe place for us and our pets. They are the best! Thank you so much for your feedback regarding your stay with us during the recent hurricane. It was our pleasure to accommodate you and your family. We strive to see to it that all of our guests feel at home, and are grateful that we were able to meet all of your expectations. Thank you again for choosing Best Western! We had made a reservation for a King Size bed and needed a roll away. The clerk who made our reservation said roll aways weren't available but that they would give us a twin size mattress to put on the floor. This was needed since our 6' 7" son doesn't sleep very well in a double bed. When we got to the hotel for a late night check in the gentleman clerk had switched our room accommodations thinking he was doing us a favor. Well he didn't! We didn't get the room we had reserved. We were in town for a funeral and his taking it on himself made for a miserable night's sleep for my family!! When we spoke to the gentleman at the desk the next morning he stood by the decision that was made without taking into account our specific reservation that we had made. We will NEVER stay at this Best Western again. The Hampton Inn is nearby. I suggest you stay with them. They don't change accommodations when you make specific requests! We sincerely apologize for failing to accommodate your room as requested. When we moved you to a double room, we erroneously assumed we were doing you a favor by providing two beds and a larger room for the price of one. We take full responsibility for the lack in properly communicating to all staff your desire for a King bed and a mattress on the floor. We are willing to go above and beyond to satisfy our customers' specific needs, and deeply regret that a misunderstanding led to your dissatisfaction. Hopefully, in the future, you will give us another opportunity to be of service to you and provide a superior experience. Thank you for your review of your recent stay with us! We are delighted to hear that you enjoyed your stay and hope that you will come again if you are in the area! Thank you for your review of your recent stay with us. We apologize that you were not pleased with breakfast; your satisfaction in every aspect of your stay is very important to us. We are grateful for customer feedback which gives us insight into areas where we can improve! We sincerely appreciate your business and hope to see you again if you are in our area. "One night stay while passing through town "
Not a bad hotel. The room that I had for the night was large. 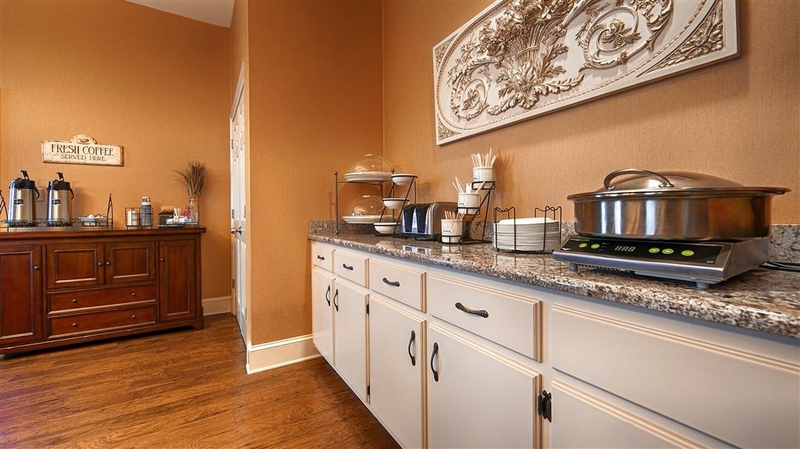 Separate kitchenette area with microwave and refrigerator. Living room area with a work desk. Small bedroom with bathroom area. Wish the AC worked better to cool off the entire room. The AC cooled off the living room fine but hardly reached the bedroom. Older hotel that has been renovated. Very nice staff at check-in at night and in the morning during checkout. Very small breakfast selection. "Best place to stay, next to home!" 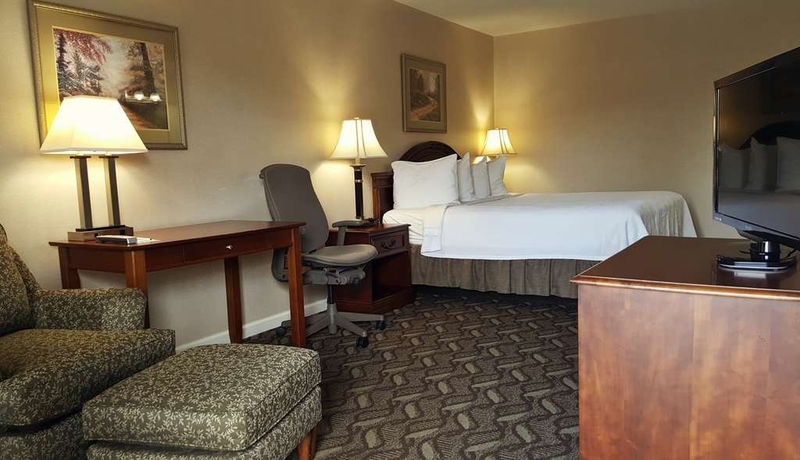 We always stay at Best Western Suites when we visit Jackson, AL family and friends. Have stayed there many times over the years and each time, the rooms were spotless, smelled great and plenty of towels. We call it our "home away from home" while we are Down South! The staff are so friendly and nice and the breakfast is great, too! We give this place a 100! We are so glad to hear that you enjoyed your stay!! We appreciate our customers so much and our goal is not just to meet, but to exceed your expectations with each visit! Thank you for being a loyal customer. We hope you will visit again soon! "Best service of any hotel in the area"
The staff is very friendly and incredibly helpful. Management clearly cares about keeping this hotel clean and looking nice. Exterior rooms is only negative (if you can even call it that); although it's certainly quicker getting to your car when you just have to walk 5 feet from your door. "An actual memorable (positive) stay"
I was working in the area and the closest motel I could get was 30 minutes away. The location I was at was filthy and the bed was awful. And since I was working nights, moving is hard to do because of standard check in times. 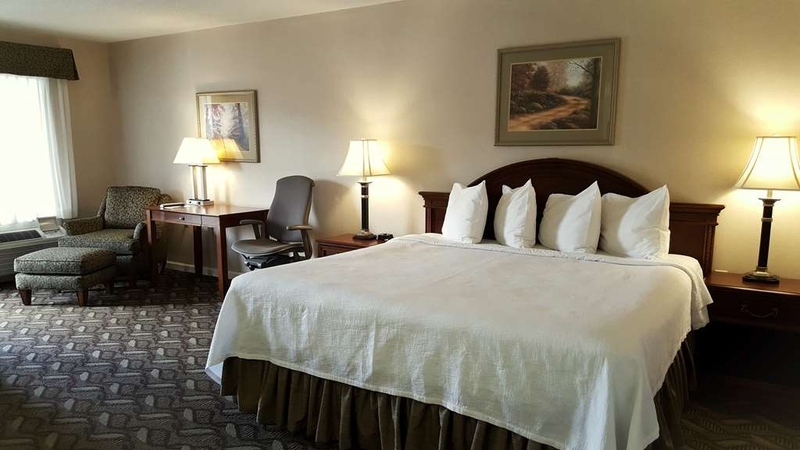 My travel agency was able to locate a room after a couple days at the Best Western in Jackson and they were beyond accommodating and treated me like a member of family that they were concerned about.. It was wonderful!! Every part of the stay was excellent and EVERY employee was an absolute pleasure to spend time with.. I stay at a lot of hotels and most are only memorable if they're really excellent, or really terrible.. This was one of the best hotel stays I've ever had in my 30 years of service work travel, and I'm looking forward to being in the area again so I can stay at this hotel!! Very good place to stay. Clean rooms that are set up like a small apartment. The owner was willing to help in anyway during check in and the very nice lady who handled breakfast made sure everyone knew she was serving REAL eggs. Room very clean, breakfast was very well prepared, excellent employees. 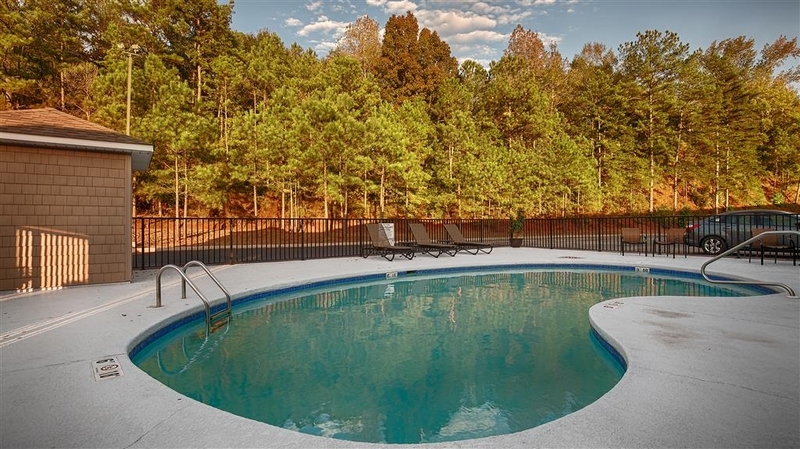 Great location, easy in and out to main highway. Restaurants in Jackson are decent but mostly fast foods. Check it out for yourself. This Hotel is by far one of the nicer ones that I have stayed in past few years. The rooms are like small apartments and the Staff is very friendly and very helpful. I travel a lot with work and this Hotel is top notch. I highly recommend staying here and will stay here again when I am in the Jackson area. 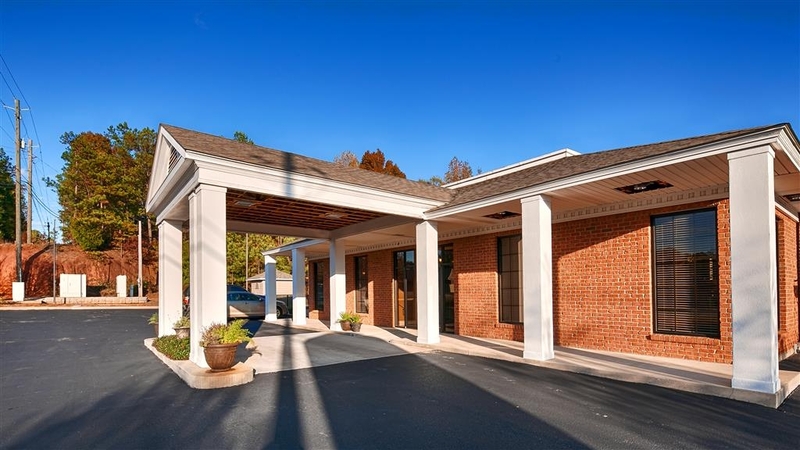 Every stay at this facility is comfortable and hospitable. Guests become friends of the staff and visit and linger because they are made to feel like family. The quiet in the rooms is so welcomed and enjoyed. 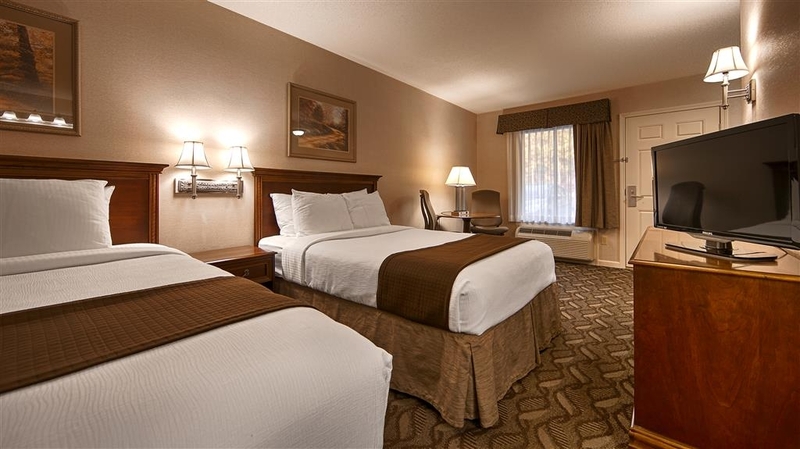 Comfortable, quiet, restful stay with good service by personable people. I stay often at this hotel and always come away being pleased by the choice and the expereience. Breakfast is always a treat and warm greetings are enjoyed from the staff. Guests tend to become acquainted and a B&B casual atmosphere is enjoyed ....at a hotel. 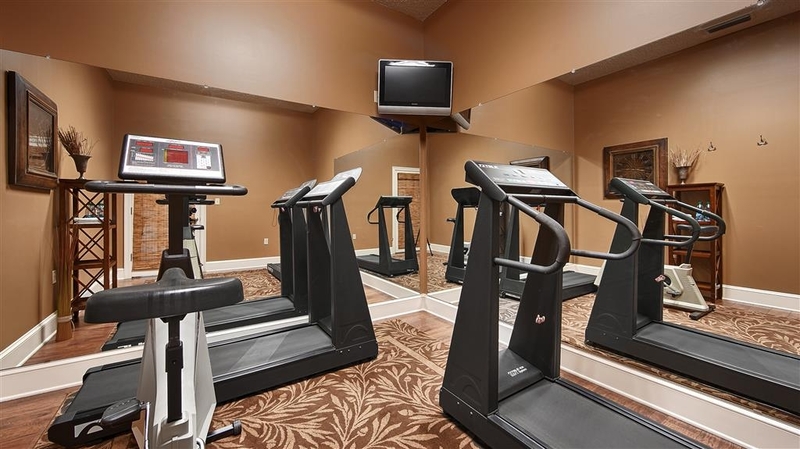 If you like easy access to your room and easy access to a hotels gym, pool and breakfast room this is your hotel. This was an unexpected gem, easy to find and access. You can drive right up to your door and feel safe and protected, fantastic room, and the staff, well they're some of the best. Had to come to Linden, AL for a funeral, and my mother doesn't travel without her dog. 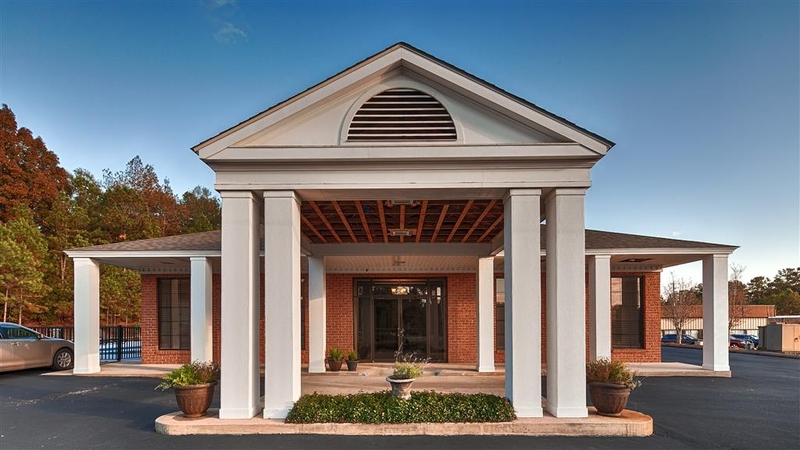 This hotel was the closest hotel to Linden, AL that was pet-friendly. For a hotel that was pet-friendly,it was extremely clean. It did not smell like any pets had ever been in the room. The room had a mini fridge and I will say again, it was all very clean. There was a continental breakfast, but I didn't have time to partake. I only had one issue. My mother is very skin sensitive, and she broke out in a rash. I believe that because they allow pets they use a very strong detergent on the sheet. Stayed here while traveling on the Great Loop (TomBigbee). Friendly and helpful staff. Great hotel for the price. Will come back. Breakfast staff were very helpful. Manager called ahead to tell Demopolis BW our group (9 rooms) was coming and treat us right. Stayed one night with a group of friends while on a jetski trip from Fort Walton Beach thru to Tennessee. Staff was extremely nice and very helpful. As our support vehicle was not on the premises at the time, they offered at the front desk to drive us to pick up some food. Also, when I asked if they had laundry facilities, they said that they didn't, but that they were sure if they checked with the owner, he would let me use his. This morning's breakfast was excellent. French Toast, real eggs, bacon, muffins, fresh blueberries; wish we could have stayed longer, but it's off to Demopolis for us! Thank you for a great stay! Great stay, very quiet and accommodating while I was working on the graveyard shift while staying there. The owner Mike made it very comfortable for the guys on the crew. I only wish is that this hotel were closer to our work location. I would not hesitate to stay in this hotel again when in the near vicinity. We sincerely appreciate your choosing Best Western for your hotel needs and thank you for your kind words. It is our pleasure to be of service to you, and hope to see you again when you are in our area! We had great service. Very courteous and friendly staff and we felt welcomed. Hotel was in a good location. That is all I have to say about this review. That is all I have to say about this review. That's all. 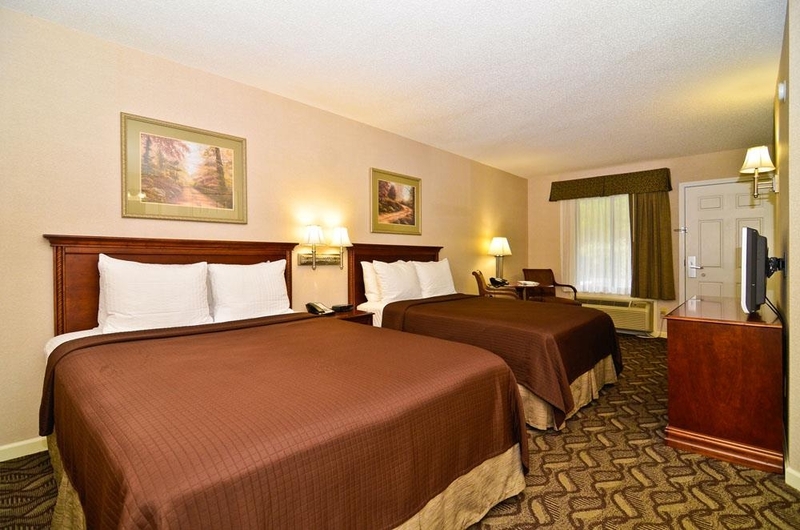 This hotel is conveniently located to the business district of Jackson. Staff was very friendly and helpful. Room was very clean and comfortable. The room was quiet even though it located close to the highway. I would stay here again if I was in this area. "Relief from a long drive"
We were on a Christmas trip from Central Texas to Ft Rucker AL. After driving and getting really fatigued from driving, I stopped at a gas station/ convenience store and was fortunate to meet another customer who told me about this hotel. It was about 15 miles away from where we stopped at the store but when we got to the hotel it was very good to relax, get a good meal and have a great nights sleep. Staff was terrific. "Very clean & great staff"
Only problem was AC. However, I didnt report the problem since AC worked fine just had to turn it very low. Probably simple fix like low freon. The staff was very accomodating. The room was very clean. 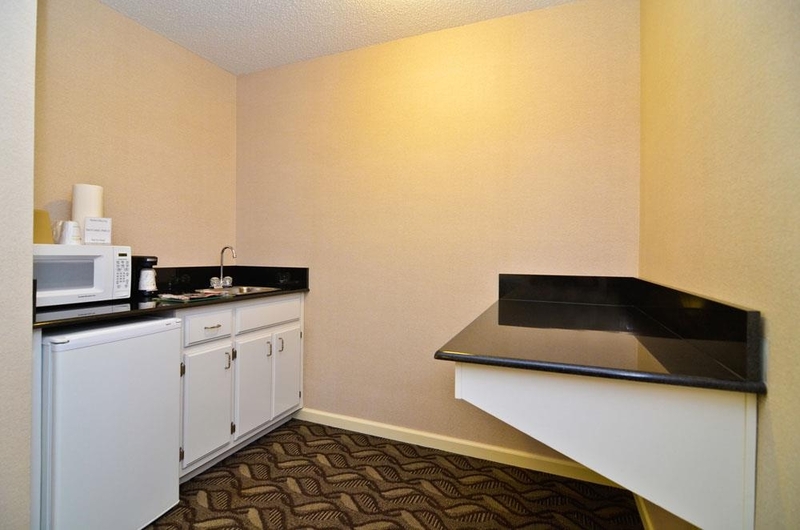 The rooms are suites with microwave, refrigerator, coffee pot & separate seating area. "Don't look anywhere else in Jackson, AL!" This hotel is run smoothly by some of the most welcoming people I have ever met. The beds there are some of the most comfortable I have ever slept in and I plan on ordering some of the pillows! It is a pleasure each time I stay there. The breakfast is really good too! This hotel, for the price, is an outstanding value. The staff is friendly and helpful. The room is spacious with a kitchenette, sitting room and bedroom. The access to the hotel is directly off the main highway and is easy to get into and out of. We will absolutely staff here the next time we are in Jackson. Very surprised and impressed by the property. Superb service for this small location yet quality of room was exceptional. Kind size bed was better than in a 4 star hotel. Very relaxing and great price per night. Highly recommended for a business traveler or just passer by. I will be back when next time in the area. Recommended. "Good stay for the business traveler." Good rooms with a excellent staff from check in to check out everyone handles any need you may have. They are friendly and make you feel at home. There are bigger hotels with more amenities who treat you like a necessary evil but you won't find that here. Comfortable, quiet, clean and personable. I highly recommend staying here when your in the area! Clean, up to date, safe and friendly. I highly recommend this hotel. The staff was very helpful, the room was extremely clean and the facilities were well maintained. I will definitely stay here as my business travel brings me back. We had an excellent stay at this hotel, which offers excellent value for the cost of the room. The room and breakfast area looked like they had been recently remodeled; everything was fresh-looking and exceptionally clean. The bed was very comfortable, the room spacious. Breakfast offered more than I would expect for a hotel in this price range. The staff was exceptionally friendly and professional. I would certainly stay here again. The best experience for a small town hotel. Wonderful staff, rooms are clean and comfortable. We will definitely stay any time we are in Jackson, Alabama. The price is definitely better than up the street.